You want a website that looks professional, modern and well, gorgeous! You want to show it off and be proud of it. Most importantly, you want it to work hard at selling your services to bring in more clients. You want to work with someone that understands you, your industry and can help you achieve your goals. However, there’s a problem with your current website budget… it doesn’t stretch far enough to have a fully custom designed and built website. The solution is to have your website built using a starter theme. I’ve built a gorgeous, modern and professional looking starter theme which I can customise based on your brand and website needs. The starter theme is mostly black and white as it’s more of a “wireframe” on which to build pages. All the colours and fonts can easily be changed. The theme contains rows with layouts that can be used on any page. The home page layout can also easily be tweaked based on your needs. I add in your copy, images, brand colours, custom fonts, some minor custom tweaks and viola, you have a website that looks expensive and custom built but at the fraction of the cost. THIS PACKAGE PROVIDES MORE THAN JUST A WEBSITE. You and I will discuss your online business strategy and create a plan on how to grow your business. I give you copywriting tips, SEO tips, set up and configure website security, google analytics, SEO plugin and more! The consensus was that it reflects perfectly what Jacaranda Clubhouse is about. People who know the Clubhouse said it was like looking through a window into the heart and soul of the organisation. Two Jacaranda board members who have had time to look through the site said it gave them goose bumps. I feel trusting and secure with Gabriella handling my online presence. She built my site, as well as has a wealth of practical marketing and strategic advice for my online business. I love that Gabriella has both passion and a strong integrity with her work and client base. She has impressed! She is responsive and has clear communication. You’re in the natural health & wellness sector and you’re looking for website for your clinic and/or online business. 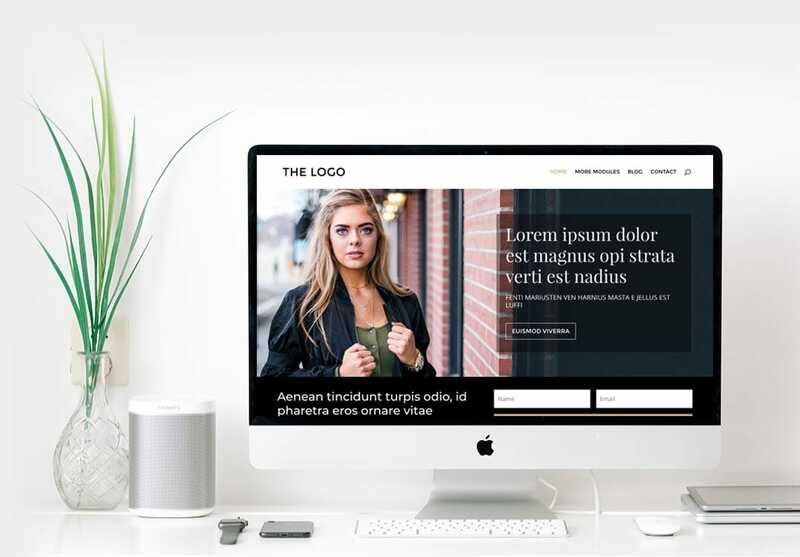 You’re finally ready to launch your new business out into the world or you want a new website that looks more professional, has an easy to use interface and speaks directly to your target clients. You already have photos ready to use for the new site OR you’re willing to have a photoshoot done pronto. You’re comfortable with using a computer. You need a website that is easy to update and can grow as your business does. You’re tired of the tech and just want to focus on what you’re good at and spend more time growing the business. You’ve already worked through the branding worksheet. You’re ready to work hard to get things done in a short time-frame. You needed a (new) website like yesterday! Who is this not for? Someone who wants the total in-depth branding experience and a fully custom designed and built site (see custom projects). Also, someone who wants to be overly involved in the design process and fuss over and change their minds about colours, fonts etc. Includes a unique text logo, 2-3 fonts that best reflect your brand identity, plus a gorgeous colour palette that supports your brand message and attracts your ideal clients. Some inspirational images that best reflect your brand will also be chosen. To the left you can see an image of a sample starter brand kit. A gorgeous home page that’s been customised based on your starter brand kit. Customisation is limited to colours, images and fonts and a few layout options. If you desire something completely custom that is unique to you and your business, I recommend a custom project. 5 pages: about page, services page, testimonials page, contact page and general page template. Stunning looking blog layout and blog post design based on an existing template. Landing page for your enticing opt-in offer. A responsive website that looks just as good on mobile as it does on desktop. Simple but attractive cover design & footer design for your opt-in offer PDF. Up to 2 hours of online business & website strategy consultation. Copywriting tips to make it easier for you to write your website copy. A list of questions for a questionnaire you can send your email list or clients to improve your service(s) and write better copy. Access to my SEO guide. Installation, setup, customisation and/or integration the following: Google Analytics, your email CRM, website security, cache to improve site-speed, Google Search Console, local SCHEMA (for better local SEO) and more. The website will be super easy to update but, in case you need it, you can access our training videos. Are you ready for a professional and expensive looking website that reflects your business values? A website that you’re proud to show off and that your ideal clients are going to connect with? A website that’s optimised for SEO, especially local SEO so local prospects can easily find you? Only 50% (US$748.50) payable now to lock in the project start date. Remaining 50% required just before launch. Ready to get rolling? Let’s chat and see if we’re a fit. You schedule in your free 30 min consultation and we discuss your business and website needs. If we’re a fit, then I send you a contract. You sign the contract and pay 50% of the total project fee. We then schedule in your website project design & build start date. Have your first website design and business strategy session with me. Write all the website content. I will send you a content template document with prompts to help you write all the content needed for your new website. If you’re struggling to write content, I can recommend copywriters for you to work with. Create the content for your free offer that will build your mailing list. Purchase a domain name, if you don’t have one. Create your account at Mailchimp or Active Campaign. Once all the above has been completed, the website can be designed and built in as little as 10 business days (excluding public holidays). If you need to reschedule your website project start date once it’s been locked in, there will be a $150 rescheduling fee. I understand that sometimes life happens, however, I’m blocking out my time specifically for your project and a delay in one project can mess up my schedule and affect all my other projects. Will the website be mobile-friendly? Of course! We do the extra work needed to make sure the website breaks down elegantly for both mobile and tablet devices. We also test the website across devices and browsers. Yes, software and hosting costs are extra. Hosting. I recommend Siteground for hosting. Their basic hosting package ‘Startup’ is quite affordable. Around US$11/month. Stock images. Some stock images might be required for your new website. Prices can vary so you can expect to pay $20-$50 per image. Photoshoot. If you can afford it, have a photoshoot with a professional photographer so you can get some great photos of you, your clinic, and related custom images that you can use on your website and on social media . This package is streamlined productised service designed to get you online as fast as possible. The way this package is put together and the low price-point means that refunds are not possible. Book your free 30 min free consultation to see if this package is right for you. If this package is not for you or we’re not the right fit, I will let you know you. What if I want additional design or website functionality in addition to what is provided above? No problem, I can give you a custom quote for the additional work. Do I get a discount if I already have a logo? No, but I can give you a credit to add an additional design item or page to add to the website, or get some free website maintenance. This is at my discretion.